Get a behind-the-scenes peak at Ethan's latest side project in this video from our biweekly all-staff demo. Every two weeks Sparkboxers come together to demo our progress on client and internal projects. It’s a great chance to share what we’ve learned, learn from one another, and celebrate the hard work that has happened in the last two weeks. In our last demo, Ethan took the chance to celebrate the team with the progress on his newest hack/side project, High Fives! 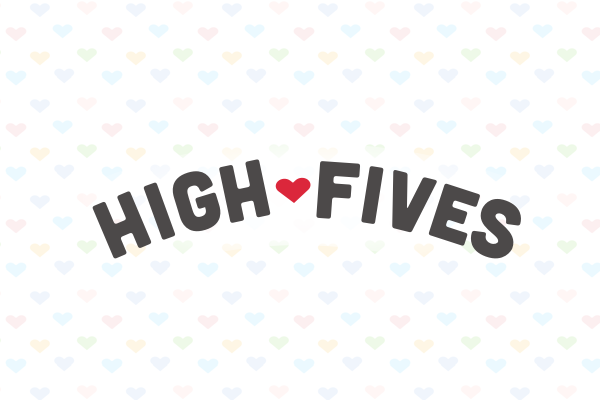 Stay tuned for a future post when High Fives launches. Until then, enjoy this bonus video of the springy action. Ben shares how one Sparkboxer made him reevaluate how to better our team and industry through “big vision, small changes” thinking on a personal level. Listen as Rob talks with podcast host Jay Owen about how building the right team can mean the difference between success and failure. Ryan shares how we set team expectations, support one another, and set our projects up for success. Ben&apos;s email newsletter shares a framework for investing in your team, leading to greater buy-in and more innovation.